ONLY LEICAS ALLOWED IN COURTROOMS? In summer of 1977 the state of Florida began a one year experiment to allow the use of still cameras, tape recorders and live television broadcasts by accredited news agencies during court sessions. It marked the first time since the early 1960s that the media could venture into public trials and visually record the principals of a case with more than pen and sketch pad. One of the earliest cases which received national attention during this experimental period was that of a 15 year old Miami boy who had been charged with murdering an elderly retiree during a robbery. Major news networks showed film clips almost daily and the nation’s newspapers were supplied with photos by the various wire services. At about the same time the Georgia Supreme Court, in consultation with the state bar association drew up board guidelines for the admittance of news cameras, etc., during state judicial proceedings. The chief judge of each Georgia superior court circuit was given the prerogative to formulate a specific coverage plan in his own district. Many of those judges used their power and position to effectively exclude members of the visual media by not approving any plan of coverage for their trials in their jurisdictions. Still and television cameras were still barred in many counties in Georgia, even though the state’s highest court had sanctioned their use. The supreme courts in both states further stipulated that the use of flash and motor drives were prohibited. 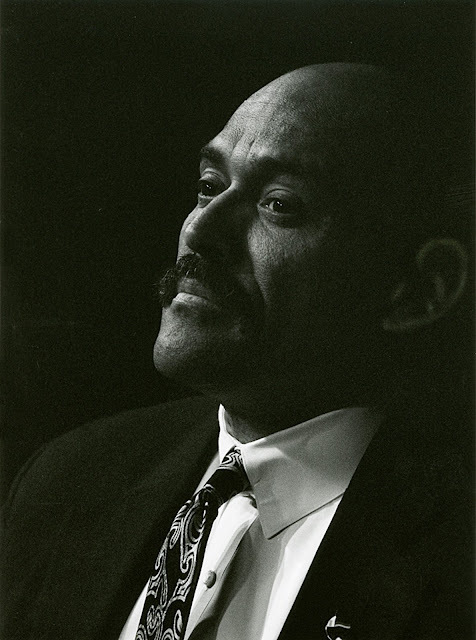 In addition the chief justices gave the presiding judges the discretion to reject those cameras with noise levels which would distract jurors during testimony and “detract from the decorum of the Court.” That brought up the question of which cameras were quiet enough to meet the noise criteria set down by a crusty, conservative Georgia or Florida circuit judge. The answer was unanimous: “Get a Leica M3 or M4 and a 90mm or 135mm lens.” Soon photographers began winning accolades of judges for the discreet quietness of their cameras. “Not more than one still photographer, utilizing not more than two still cameras with not more than two lenses for each camera and related equipment for print purposes shall be permitted in any court proceeding. Such cameras shall produce no greater sound than a 35mm Leica "M" Series rangefinder camera. Today would have been the 170th birthday of Ernst Leitz. It was his vision to hire Oskar Barnack against his reservations about coming to Wetzlar, and it was his vision that we have to thank for the Leica becoming a reality when against considerable arguments to the contrary, he said, “Barnacks Kamera wird gebaut (Barnack’s camera will be built).” In a statement today, Leica Camera said that “his influence and passion still shape our products today.” May he continue to do so. Purchasing a lens for a Leica used to be a very straight forward preposition; if you needed another lens, you would generally have to buy another Leica lens. There were only few exceptions, and only for the Leica rangefinder cameras where some Leica screw mount lenses were also available from Nikon, Canon and a few Russian made lenses for the Kiev and Zorki cameras. No such choices existed for the Leica R reflex cameras. That didn’t change until a few T-4 mounts appeared in the Leica R mount from Soligor and Vivitar and a bit later from Tamron with their interchangeable camera mount Adaptall lenses. Most of those all but disappeared from the market, initially because sales of those mounts were too low to justify further manufacture and later, when interchangeable camera mount lenses were no longer manufactured. Today aftermarket lens manufacturers concentrate on the main camera manufacturers like Nikon and Canon. 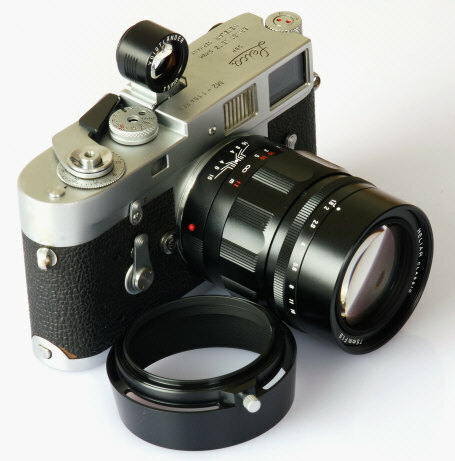 Now that the Leica M is a valid alternative for the R lenses, and since several manufacturers, including Novoflex, are making adapters to use lenses from other manufacturers on a variety of cameras, it is possible to use these lenses also on the Leica M. That offers a huge choice of different lenses never before available for the Leica. 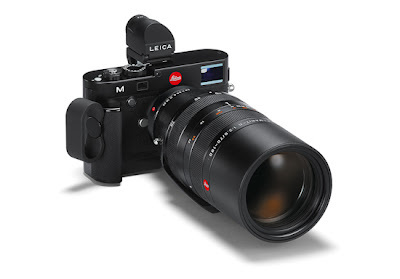 But does it make sense to equip a Leica with a lens from another manufacturer? After all, one of the main reasons for owning a Leica is the quality and performance of their lenses. I basically agree with that, however, I can also see that in some instances a lens from another manufacturer might be a valid choice, especially if we enter cost into the equation. For instance, Besides the Leica 14-50 f/2.8-3.5 Vario Elmarit on my Leica Digilux 3, I also use a 55mm f/3.5 and a 105mm f/4 Micro Nikkor made by Nikon as well as a 200mm f/3.8 and a 400mm f/5.6 Noflexar made by Novoflex on that camera. Especially the two Novoflex lenses have proven to be very much equal to their Leica counterparts as have the two Nikon lenses shown to be excellent performing lenses. This brings up the question, which of these lenses do make sense to put on a Leica camera, especially the Leica M? Price should definitely part of this consideration. While some large manufacturers can offer high quality lenses at lower prices, simply because of their high sales volume, nobody is able to perform any miracles. If the price is too good to be true, it is a safe assumption that this price is the result of considerable cost cutting measures. A manufacturer has quite a number of means to arrive at lower manufacturing costs. Aspherical lens elements are a good example. The most costly approach to making such lens elements is to grind them from a lens blank. This is by far the most costly approach, but also renders the best quality lens elements to assure the highest possible performance. Another approach which, for instance, is used by Nikon is to make high precision molds and then mold the softened glass into its final, aspherical shape. This method definitely lends itself to larger quantity, mass production. The least expensive approach to aspherical element production, as used by many of the aftermarket manufacturers, is to make a standard, spherical element and then add a thin, aspherical surface section made of acrylic to it. These acrylic add-ons are also molded. 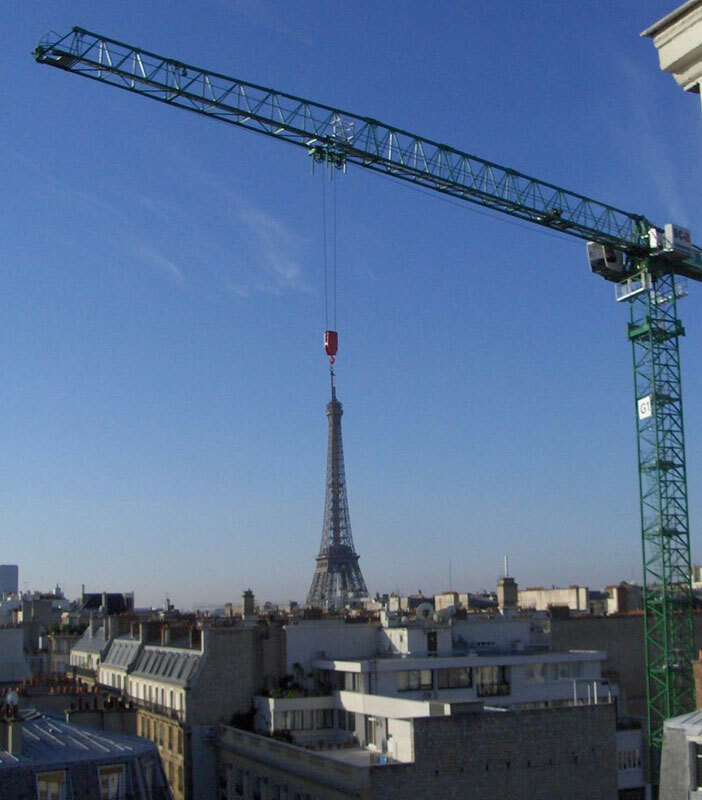 This saves a lot of cost, but it also is a considerable compromise. This process was initially developed by Zeiss in Germany. It was, however, rejected because it could not assure the performance parameters set by Zeiss for their lenses. The reason is that acrylics are made of rather large molecules. Due to their size, they actually scatter the light when it transmits which adversely affects the performance of the lens. With other words, not all aspherical elements are created equal. There are a huge number of other cost saving measures that are being used, all of which ultimately lower the overall performance potential of the lens. I came across two of the worst examples of this a while ago when I was still dabbling in repairing cameras and lenses for my own use. I was asked to look at an aftermarket lens made by a well-known manufacturer. The lens did not focus to infinity, even though there were no outward signs of abuse or that otherwise anything was wrong. I had no choice than to partially disassemble the lens. Since not all SLR and DSLR cameras have the same lens to film plane distance, this has to be taken into consideration when making an aftermarket lens. Rather than making the lens specifically with the appropriate measurements, a general lens to film plane distance is used. Then the rear of the lens has a threaded section which allows the lens to film plane distance to be changed to accommodate different cameras. After adjusting the lens via this threaded section to assure proper infinity focus, these threads then have to be locked in place. This is usually done with some set screws. However, this manufacturer apparently decided that additional costs could be saved by eliminating the set screws and to use a piece of tape instead. I am not exaggerating; they used a thick piece of tape around the entire threaded infinity adjustment. The problem with the lens was that the tape had partially lost contact which had allowed the adjustment to change. A while later I had a similar problem with a video zoom lens from the same maker. This was by no means a cheap lens, it sold for almost $2,100. Video lenses routinely come with an infinity adjustment to accommodate different video and motion picture cameras. Remembering the problem with the other lens, I quickly concentrated on the infinity adjustment of this lens. My suspicion was confirmed. Even this relatively expensive lens used a piece of tape to “secure” proper infinity focus. I am not saying that all aftermarket lenses are made with such extreme cost saving measures, what I am saying is ‘buyer beware’! The low price has to be arrived at by some means. My general advice is to equip your cameras with lenses made by the camera manufacturer. That way there is the general assurance of the best possible performance. With other words, put Leica lenses on a Leica to get the most out of your investment. But there are valid alternatives for the Leica. Some of the older Nikon and Canon screw mount lenses are still performing quite well, but just as the older Leica screw mount lenses, they don’t measure up to the current line of Leica lenses. More modern alternatives are offered by Voigtländer and Zeiss. Their M mount lenses have proven to be excellent performers, relatively close to their Leica equivalents and considering their cost advantage, they do present a valid alternative. Other choices exist from Minolta, the older Leitz-Minolta CL lenses, from Konika, Rollei-Cosina and SLR Magic. On the Leica R side, adapters allow the use of Canon, Nikon and a great variety of other lenses. These would need to be adapted to the Leica R mount which then allows their use on the Leica M with the Leica R adapter or with a direct four thirds adapter on the Leica Digilaux 3. Leica is not at all anymore as isolated as they used to be in the past. The camera offers a huge selection of lenses from various manufacturers, and some of them are very good choices indeed. 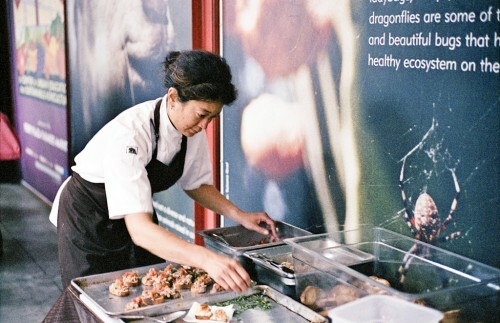 Leica Akademie workshops coming to Vancouver and Toronto this summer! Whether you choose a one day, weekend or perhaps an all-inclusive weeklong photographic adventure, the Leica Akademie provides hands-on learning, creative challenges and the opportunity to push yourself creatively, while enjoying the company of other Leica photographers. There is no better way to learn Leica than the Leica Akademie. Many of the worlds most memorable images were shot in black and white. As any experienced black-and-white shooter can attest, there is something unique, compelling and beautiful about this traditional medium. Explore the fascinating monochromatic world and "test drive" the new M Monochrom, the worlds first digital rangefinder exclusively designed for Black and White Photography. 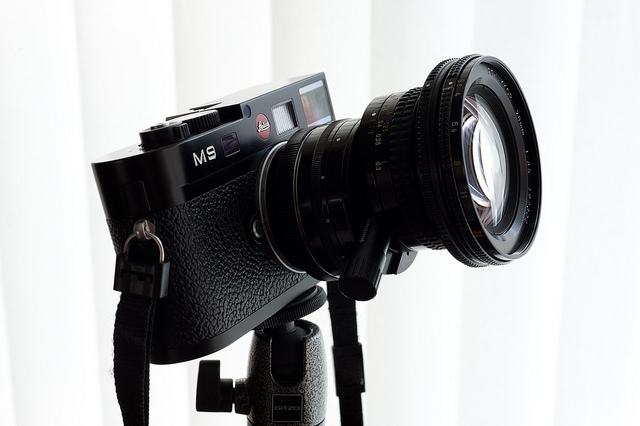 Leica M cameras are synonymous with street photography. This workshop will uncover the history, techniques and essence of the genre. Join Vancouver based Leica blog contributor Egor for a memorable two days in the streets of Vancouver and come away with a better understanding of what it means to be a "street photographer" today. 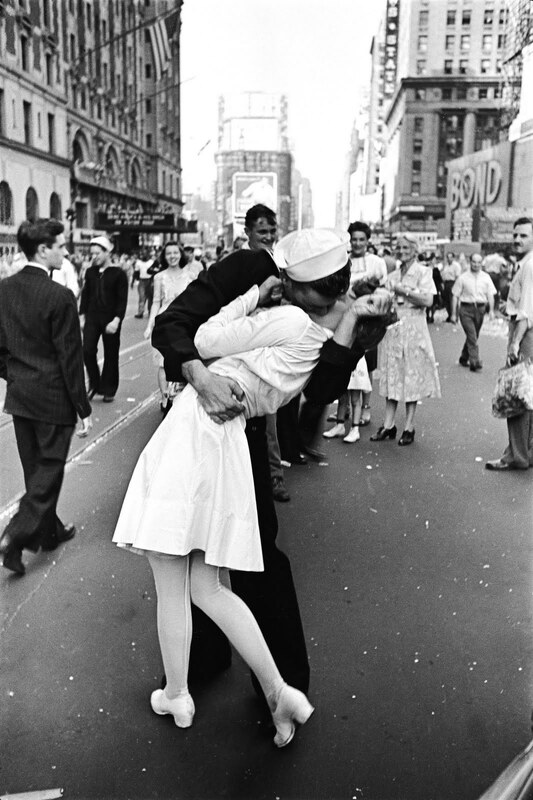 Probably the most famous photograph by Alfred Eisenstaedt is “Kiss in Times Square.” It is his famous 1945 V-J Day celebration shot. The photograph came to symbolize the end of World War II when it was published with the title “Victory Celebrations” by Life magazine on August 27, 1945. 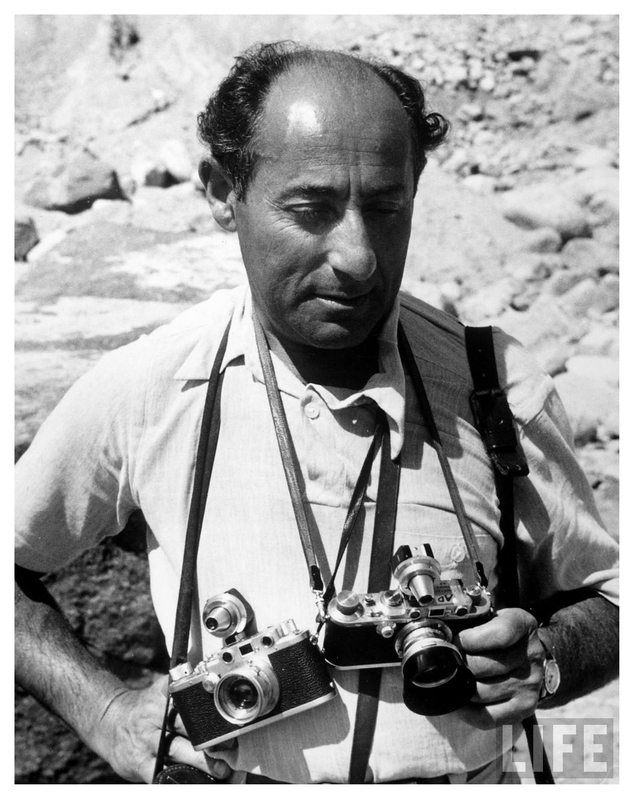 An original copy, signed by Alfred Eisenstaedt, will go up for auction on May 24th, and the Leica IIIa rangefinder he used to take it with will be auctioned off the next day. The auctions will take place in Vienna, Austria as part of the WestLicht Photographica Auction. According to WestLicht, the signed photo is estimated to sell for as much as $23,500 and the camera could fetch up to $32,780. 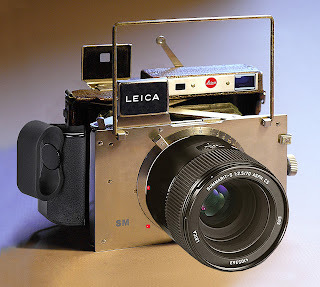 A while ago a reader questioned that Leica continues to manufacture film cameras. The opinion was that in this world of digital photography, it would be too costly to continue to make film cameras, especially ones with the level of quality like Leica. Of course, the writer is wrong. Leica does indeed continue to make film cameras, both the Leica M7 and the Leica MP. It is easy to think that high end film cameras are a thing of the past. Both Nikon and Canon websites do no longer list any film cameras. Does that mean that film is dead? Definitely not. Film continues to have an avid following. That is the very reason why the Leica film cameras are still being made. Unlike with many other makes of cameras, especially Leica enjoys a faithful film shooter following. That made me think of my own film cameras of which several are sitting on my shelves, waiting to be used. I have to admit, I haven’t shot a roll of film for a long time and just about when I am ready to keep it that way, I come across an article by Ricky Opaterny that makes me think about film again. He too hadn’t been shooting film for several years. ... So last week when I had the chance to shoot a couple rolls of film with a Leica M7, I wasn’t expecting much, having not shot any film since 2004. A few years ago in the New Yorker, Anthony Lane described the sound of a Leica shutter as a seductive kiss. I had never handled a film Leica M series camera before last week, and I have to say that Lane’s ostensibly cheesy observation is dead-on. After I loaded my first roll of Kodak Portra 400VC in the camera and advanced it a couple frames, I thought there was something wrong with the shutter. “Why isn’t it making more noise?” I asked myself. Seduction begins with a little mystery, I suppose. That mystery eludes me. Probably because I have owned a Leica since my dad gave me one for my 5th birthday. 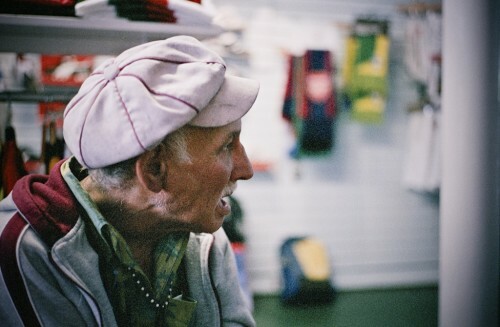 After all those years, I have learned what the Leica can do for me. Shooting with that camera is no longer a mystery but it has proven to be a thoroughly professional tool. Handling the camera was great. It just feels absolutely right when you’re holding it. And I had mounted on it my favorite lens of all time, Leica’s 50mm f/2.0 Summicron. One of the great things about the Leica M cameras is that you can shoot them at very low shutter speeds—even with the 50mm lens, I can reliably get shots as slow as 1/10 second. It’s like having a faster lens or better high ISO performance or just, generally, an extra stop! This comes in quite useful indoors where light is usually low. With the exception of the first shot, I don’t think any of these were taken at speeds above 1/50 of a second. Normally, on an SLR with a 50mm lens mounted, that would be the minimum shutter speed that someone could expect to use—here, it was my maximum shutter speed. I have to agree. I have never shied away from using a Leica at relatively slow speeds. I suppose this is one of the reasons why I think that the current quest for ever higher ISO capabilities of digital cameras is a wasted effort to some degree. But to each his own. Ricky makes special mention of the Leica viewfinder. He considers it easily the brightest viewfinder of any camera. He is right. 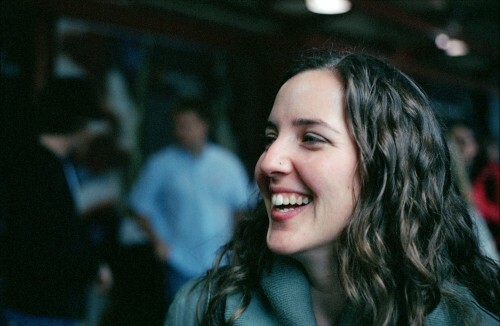 Another advantage of the Leica bright line viewfinder is that it always shows more than the area covered on film. This allows seeing and observing the scene past the edges of the image area. It allows the photographer to become more aware of his surroundings, something that no SLR camera ever offered. Because I was shooting film—expensive film that would need to be developed at additional cost—I was patient waiting for shots I was anticipating. I tried to avoid wasting a single frame. I spent more time thinking about what I was doing rather than blindly snapping away. That comment definitely made me think. I used to take the same, more deliberate approach, and I must admit that since shooting digital, that has all but disappeared. The gratification of instant frame review does allow for more of a machine gun approach without any cost penalty. The only time I still work substantially more deliberate is when doing studio shoots, especially with product photography. There it eliminates a lot of trial and error shots to get things right. Shooting, with a Leica, as many others have noted, makes you slow down. 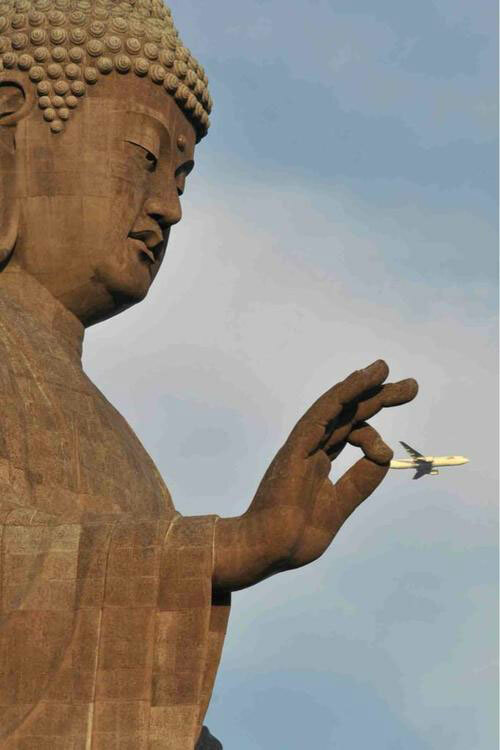 It makes you more careful about composition and exposure. And shooting with film compounds those effects. In general, I’ve spent the past few months trying to regain two abilities I feel I’ve lost in the Internet age—that to be patient—to delay gratification—and that to concentrate on something for an extended period of time. Digital photography conditions us to expect instant gratification, providing us with instant previews of our images. In some cases, this is useful and helps us get the shot we wanted. However, more often it’s simply a distraction from doing the thing we should be focused on—taking photographs. Is there any other activity in which people so immediately evaluate their performance with such scrutiny as photographers checking the LCD image previews on their cameras? It isn’t just the process that blew me away; the results were awesome. I waited with anticipation for the local lab to develop and print my film. What would it look like? What surprises lay in store? I can say that I felt my patience was rewarded. Even though their content is boring, the prints I got back from the lab had a contrast and vividness that makes them look not only unlike digital images, but cinematic in a way that I absolutely love—rich, textured, almost tactile. Unfortunately, getting to that result means paying a lab for developing and printing, which is why I don’t think I can shoot exclusively on film. I wholeheartedly agree and it makes me think all the more to get some film, load one of my film cameras and shoot. Of course that brings up the question of what film to use. My main interest is black and white. Therefore I don’t think I will bother with color film. My favorite black and white film used to be the Agfapan APX 25. Unfortunately that is no longer available. Then I switched to Efke KB 25 which is now available as the ADOX CHS 25. Of course there are times when ISO 25 just isn’t enough. For those times I occasionally used Agfapan APX 100 or later the Efke KB 100 which is now available as the ADOX CHS 100. But my favorite higher speed film is without question the Ilford XP-2 Super. It has the advantage of an ISO range from 100 to 800 without the need of any exposure or development compensation. However, at the lower speeds it does display noticeably finer grain. This allows the user to switch between higher and lower ISO indices on the same roll of film and thus assure the finest possible grain under varying lighting conditions. XP-2 super is a chromogenic film meaning that it must be developed in C-41 color chemicals, like all standard color films. I guess I have convinced myself to shoot some film. Now I just have to decide which film and which camera to use. Maybe I will be back here at a later date for a report. LEICA WITH 70 MEGAPIXEL FULL FRAME SENSOR? 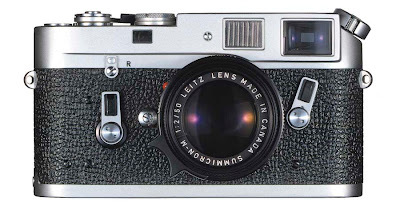 Since I was looking in my crystal ball about what the future of the Leica M might bring, I thought it might be a good idea to see if anything new has been reported by CMOSIS, the manufacturer of the sensor for the Leica M. Indeed there is some exciting news. They have developed a 70 megapixel full frame (35mm) sensor. The CHR70M is a high resolution CMOS image sensor with 10000 by 7096 pixels. The image array consists of 3.1μm x 3.1μm size pixels. It offers a dynamic range of 63 decibels, which is relatively high and comparable to other high end sensors. CMOSIS states on their website that the sensor is in production. Another interesting fact is that this sensor apparently is being made in both a monochrome and RGB version. No indication was given if this will find its way into any digital cameras soon, but the ‘what if’ question immediately turned to the Leica. Several competing manufacturers are offering cameras with full frame sensors of a higher resolution than the Leica M, and the rumor mill is mentioning even higher resolutions of over 40 and even 50 megapixels. Leica has obviously decided to bring their cameras into direct competition with the market leaders. Subsequently a sensor of 70 megapixels in the Leica M and Leica M Monochrom would definitely quiet a lot of the nay-sayers. Of course there is nothing official, but it is nice to dream ‘what if’? As soon as the Leica M was introduced, the question was, “what’s next?” Besides the usual criticism, one point that was made over and over again was in regard to autofocus. Of course, many questioned the need for autofocus on a rangefinder camera. That opinion was especially strong among the so called Leica purists. 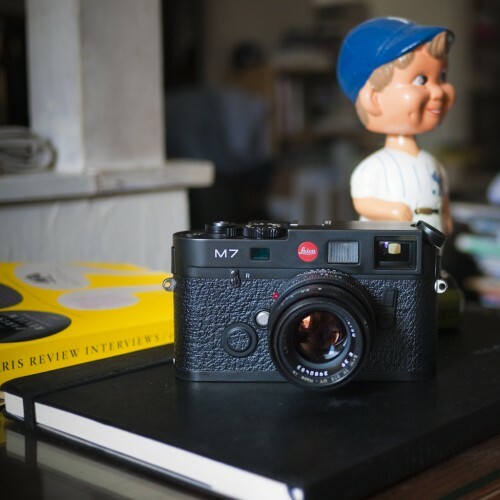 However, the Leica M has to be looked upon as a lot more than just a rangefinder camera. It is definitely a complete system camera that also incorporates a rangefinder. 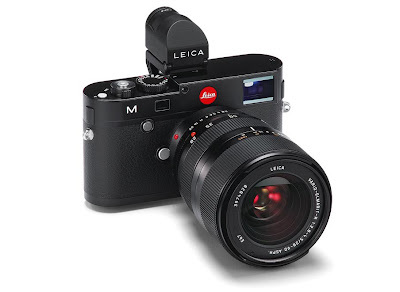 The Leica M is also the answer to previous Leica R owners who for years have been looking at a viable digital solution to make use of their lenses. With the new R adapter, the Leica M is capable to utilize any of the previous R lenses and it is also capable to do unlimited close up photography. The only thing lacking is autofocus capability. 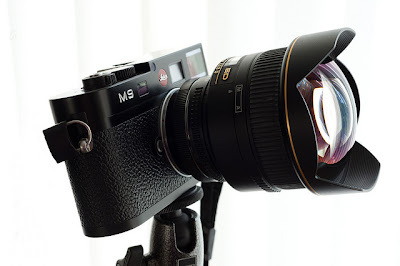 Could autofocus be incorporated in the Leica M camera? Prior to the introduction of the camera I consulted my crystal ball. As it turned out, my predictions were virtually spot on. So I hope I was not too far off with my previous claim that autofocus might be the next big step with the Leica M camera. How could this be achieved? As I see it, autofocus offerings will be initially with the M lenses, not the ones that are currently offered by Leica Camera, but the same optics with an autofocus mount. 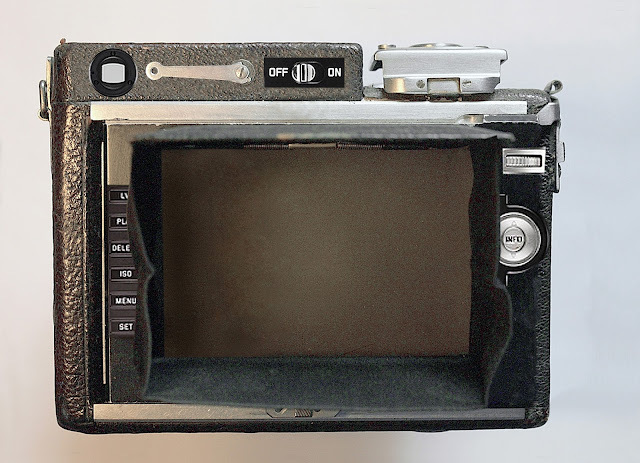 That would require the removal of the standard focusing mount and the rangefinder coupling. These would be replaced with an autofocus mount with built-in servo motors to make the autofocus movements independent of the camera body. The lenses would receive the focus information via electronic contacts from the camera. Just today Leica News & Rumors reported of the Chinese company Camera MX (deo-tech.com) that modified a Leica 35mm f/2 Summicron for autofocus. 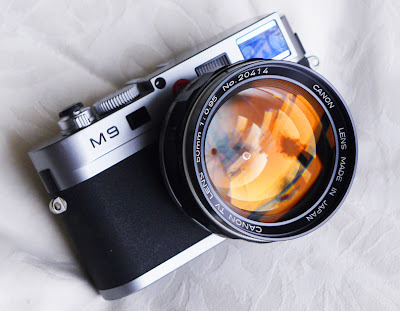 They removed the focus mount of the Summicron and fitted it into the body of a Contax Biogon 28mm f/2.8 body. This configuration will work with the ContaxG – NEZ AF adapter on the Sony NEX cameras. In principle this is very much the same as I have suggested, an autofocus mount for the optics of the standard Leica M lenses. 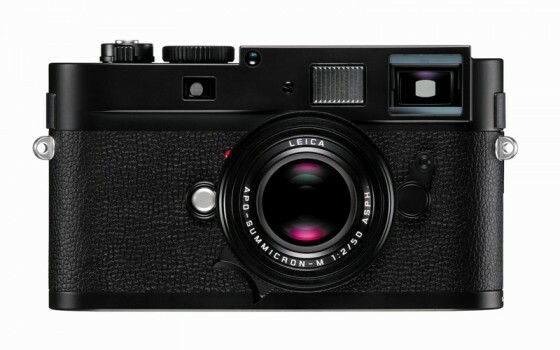 Adding this to the line of Leica M cameras, the new camera (Leica M AF?) would leave little on a wish list of additional capabilities. Of course, not everyone needs all of these features. For those there are always the Leica M Monochrom and the Leica ME. Of course the next question is regarding the Leica R lenses. It is doubtful that Leitz will reissue these with autofocus capabilities, although it is conceivable that a few of the longer lenses and macro lenses might find their way into the lineup of autofocus lenses. But there is another possible solution. At the 1980 annual LHSA meeting in Minneapolis, Leica showed a prototype Leica R camera with autofocus. The unit utilized a standard R lens, a 50mm f 1.4 Summilux R. Autofocus was achieved via a servo motor which was attached to the lens and which moved the actual focusing ring of the lens via a small gear. A similar servo motor is available for the Leica cine lenses to offer motorized focusing. Such a servo motor could be used to convert current R lenses to autofocus use on a Leica M camera. It would receive its focusing information via the same electronic contacts in the camera as the autofocus M lenses would. Will this ever happen? This is where my crystal ball gets very cloudy. Time will tell. In der heutigen Internetausgabe des Spiegel ist ein Test der Leica M Monochrom veröffentlicht. Vieles was der Spiegel schreibt haben wir schon oft gehört. Aber vor allem was über die Leistungfähigkeit der Kamera berichtet wird ist interessant. Beim Labortest von Digitalkamera.de hat die Schwarzweiß-Leica die bislang höchste dort gemessene Auflösungsleistung erzielt. Der Spitzenwert wird nur unter bestimmten Voraussetzungen erreicht - in der Bildmitte, mit einer 50-Millimeter-Festbrennweite, bei einer Blendenöffnung von f/11. Aber auch bei weiter geöffneter Blende ist die gemessene Auflösung überdurchschnittlich hoch - hier zahlt sich der Verzicht auf Farbfilter aus. Vollformat-Spiegelreflexkameras wie die Nikon D800E kommen mit Festbrennweiten diesen Spitzenwerten sehr nahe, mit bloßem Auge dürften die Unterschiede auf vollformatigen Ausdrucken zu erkennen sein. Es ist gut zu sehen dass die von Leica Camera AG angegebenen Leistungsmöglichkeiten der Kamera durch unabhängige Labortests bestätigt werden können. Es ist also immer noch der Fall dass “you get what you pay for” (man bekommt für was man bezahlt). It is often said that it is not the camera that makes the picture, but the person behind the camera. That is certainly correct. In the hands of a poor photographer, even the best cameras in the world will not be able to improve that photographer’s photos. I have no idea what cameras the following photographs have been taken with, and it doesn't matter. They are impressive in their own right and warrant the praise that they have received. Sometimes the holy trinity of perfectness is achieved and you get an Internet classic like so many of the photographs below. There are countless galleries of these images floating around. I tried my best to compile the most representative of this concept. 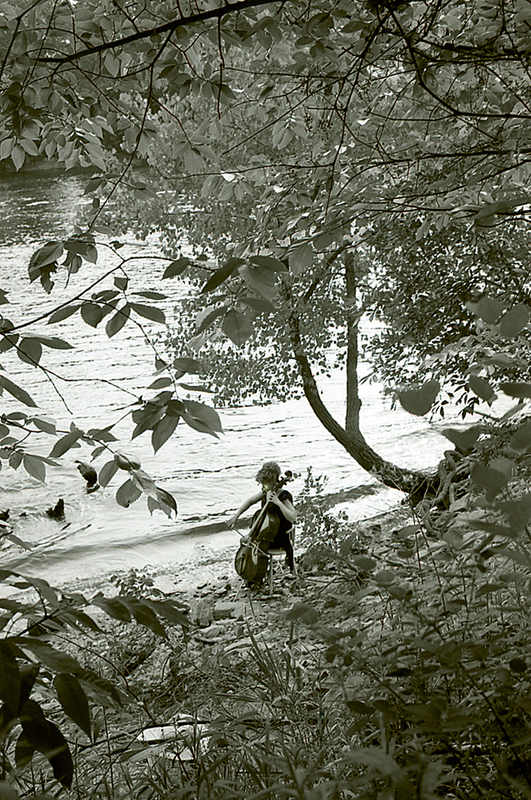 I am sure Henri Cartier Bresson would have liked this shot. This is really a brand new camera it was used in Expendables II by Sylvester Stallone (Barney Ross) once and returned to the prop master right away. There are no scratches perfect condition. It comes with a Leica m 35 mm f/2.5 Summarit 35mm Film Digital Rangefinder Lens with lens cap . Also included are a camera strap, a battery charger an auto charger a wall charger cord a USB cord and a carry bag. Included are both manuals including the one signed by my brother. As an extra bonus i'm including the DVD of Expendables II. Where you will see this camera taking pictures of Jet Lee and Jason Statham. This is 100% original and will come with letter from me Frank Stallone on my letterhead. Owner pays for shipping and packing we only accept Pay Pal,we must receive funds within 2 days from the end of auction. Note: We do not use the Ebay mailing system so please wait till the auction ends and we will contact you with the proper shipping cost. The current bid is at $6,100.00 and it will most certainly go up. Our Leica dealer informed me that Leica has announced price increases for a number of their products effectively May 1, 2012. Most dealers agreed that items currently in stock can be purchased at the old prices until May 1, and items ordered prior to May 1 will be available at the old prices regardless of when they arrive at the dealer. It is a large format camera with a sensor similar to that of the Leica S. It has the same size of 30 x 40 mm, but with a higher resolution of 50 megapixels. The camera body features a collapsible front standard which makes the camera extremely flat when collapsed, only 42mm without lens. This is very convenient when transporting the camera. The front standard is connected to the rear of the camera via a bellows. Several means of focusing are available, a folding electronic viewfinder, a large viewing screen in the back with live view, including a folding hood for better viewing in bright light, and a built-in rangefinder. The camera accepts the same lenses as the Leica S which work with the built-in focal plane shutter. But in addition, the camera also has a built-in leaf shutter to allow the use of lenses without shutters. This opens up the possibility of using a variety of lenses which otherwise would be useless. 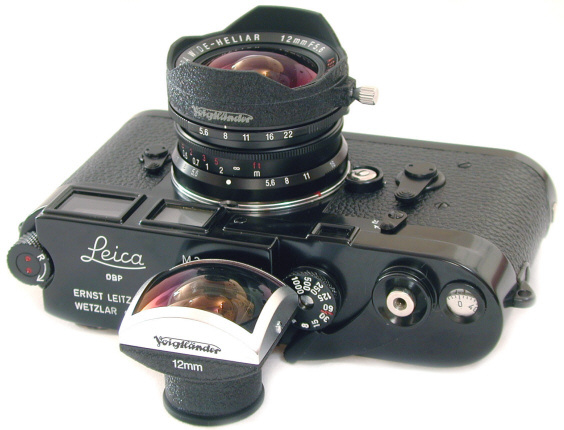 All of the Leica S lenses have the same functions on the SM, including autofocus. But most other lenses will have autofocus also when used on the SM. This is achieved with a high speed worm drive which moves the support of the front standard of the camera. In addition, a large focusing knob at the side of the camera can be used to move the front standard from the infinity position to allow for close focusing beyond the standard minimum focusing distances of the lenses used. The layouts of the electronic controls are all positioned in the back of the camera, similar to the Leica M and S cameras. A convenient handgrip is offered as an accessory. The Leica SM also features a seemingly old fashioned feature, a frame finder. This allows following even extremely fast moving subjects with substantially greater speed and easy than most other viewfinders would. Leica SM with 70mm f/2.5 Summarit-S. The settings for the leaf shutter are clearly visible, as are the folding electronic viewfinder and the rangefinder. The frame finder is folded up and the camera is equipped with the hand grip on the right side of the camera. The back of the camera, showing the large viewing screen with its built-in hood opened, the elctronic controls and the folded electronic viewfinder.